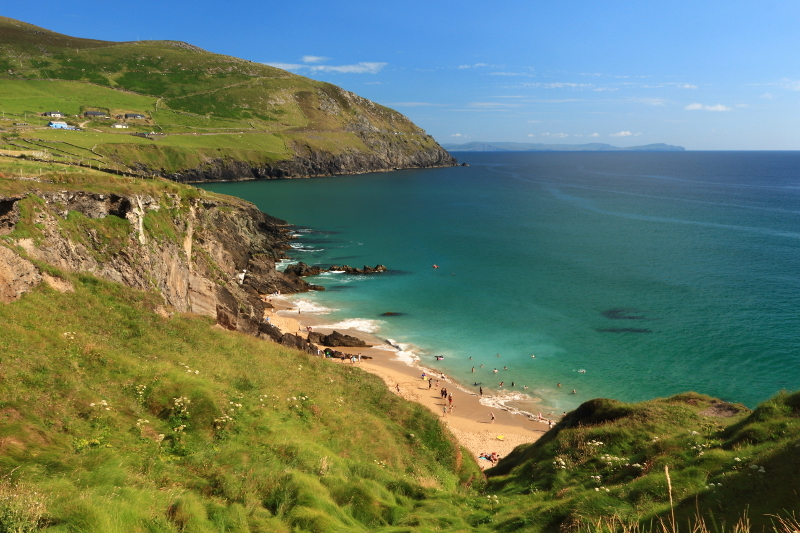 Our second day in Kerry, and we’d already had a great day, stopping at Inch Strand and Dingle, taking in the aquarium and exploring the town. 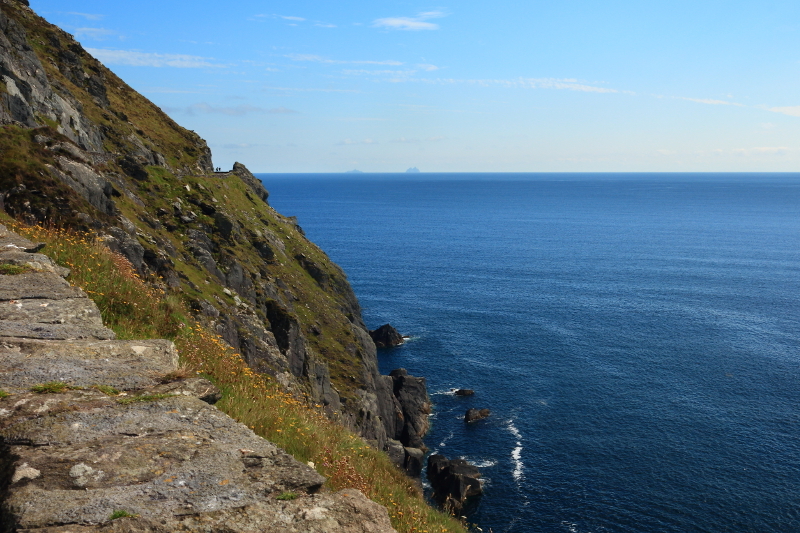 Driving out along the Dingle peninsula, we stopped at the beehive huts at Fahan, and had now arrived at Slea Head. 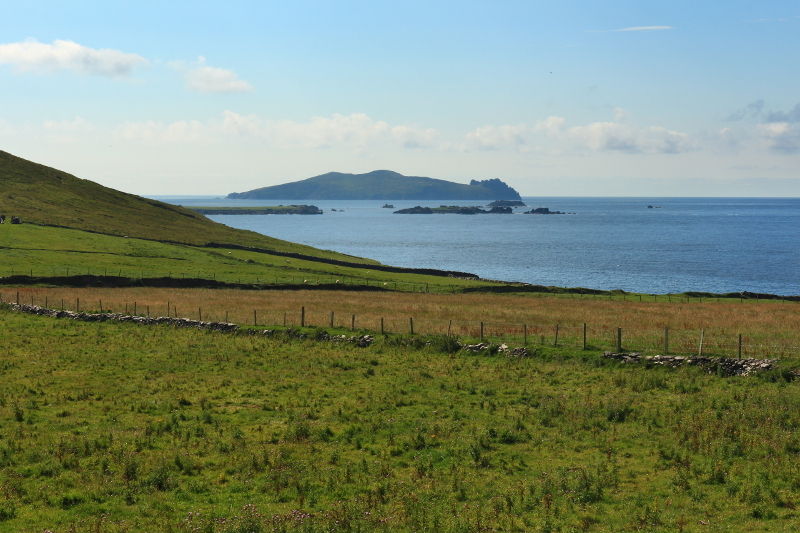 This is a beautiful area, and we spent a good part of the rest of the day here, taking in the stunning views, with the Blasket Islands featuring prominently from our clifftop vantage points. 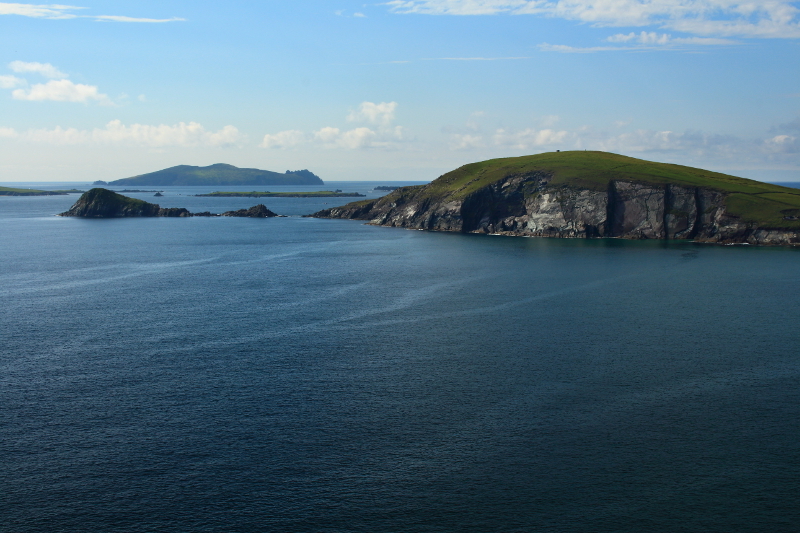 A view of the Blasket Islands. 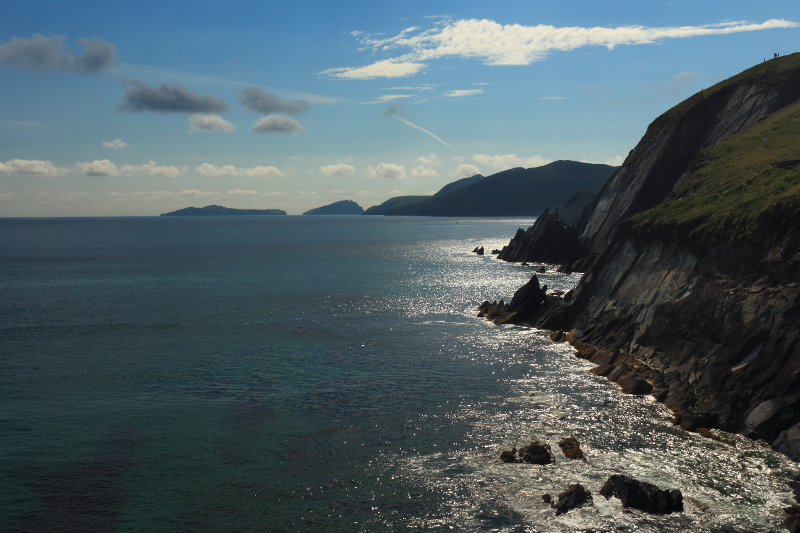 The rugged coastline around Slea Head. 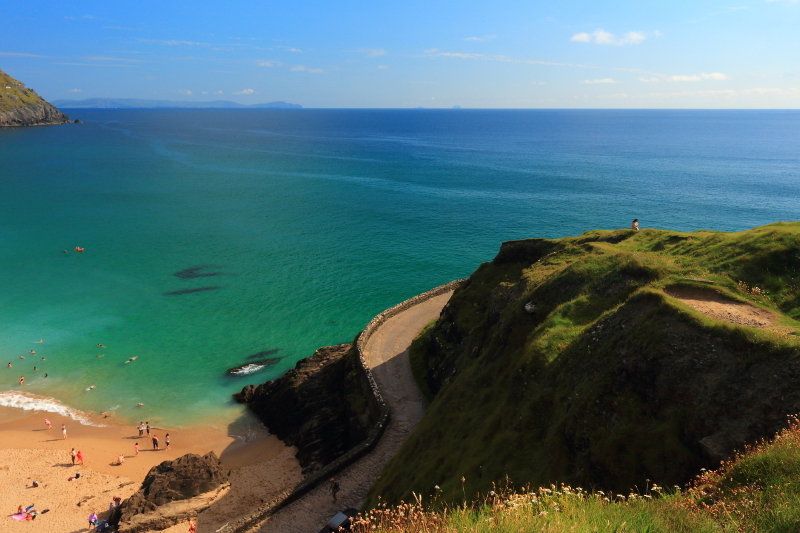 We could also see a very attractive looking little beach, which I later found out is known as Couminole beach, and it was proving a magnet for visitors in the summer sunshine. We parked up the car round the coast a little, and decided to spend a few hours there, our son in particular being keen to get to the beach and water. Parking up to walk back to the beach. 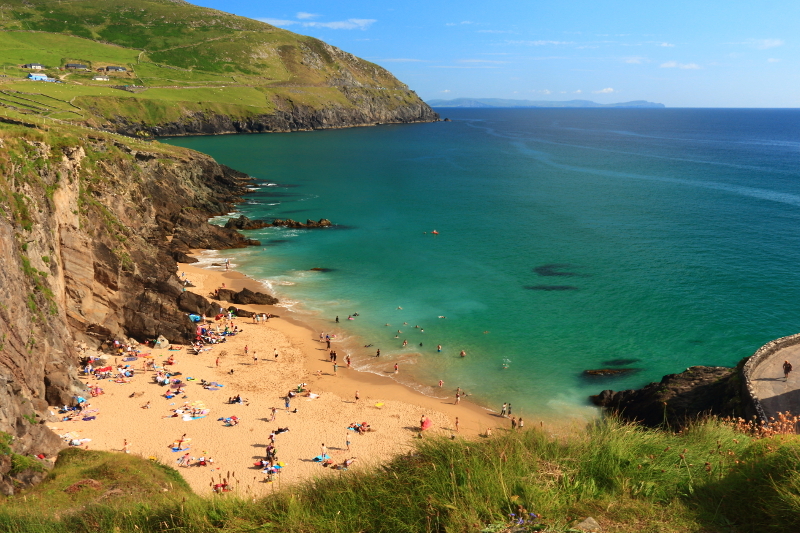 The beach is one of the most attractive I’ve ever seen, with golden sand, backed by high rocky cliffs, and accessed via a narrow road with hairpin bends dropping down to the strand. 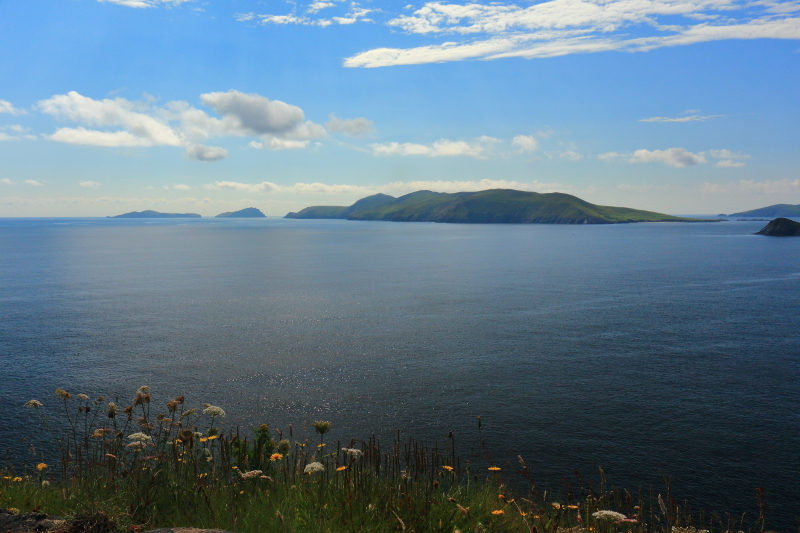 The sea was a beautiful blue green in the sunshine, and I think I was so captivated that I overdid it a bit with the number of photos in this one, small location. 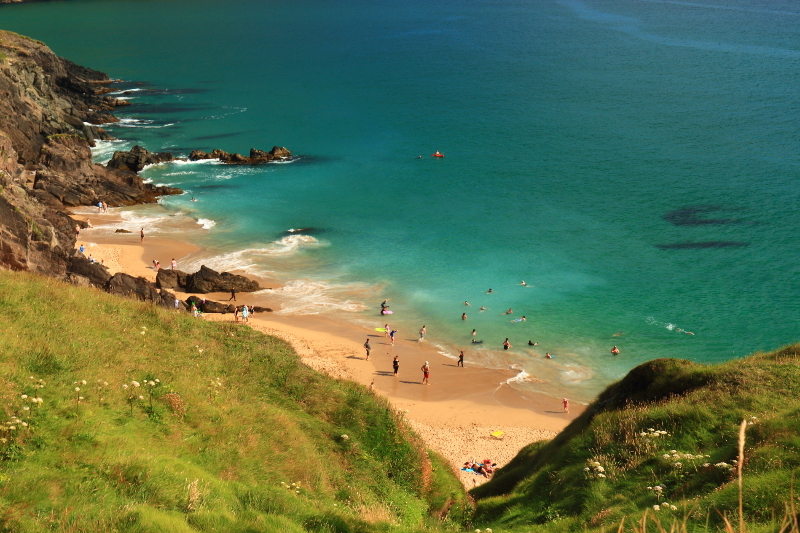 There weren’t many photographs after that as most of our time was spent in the water. 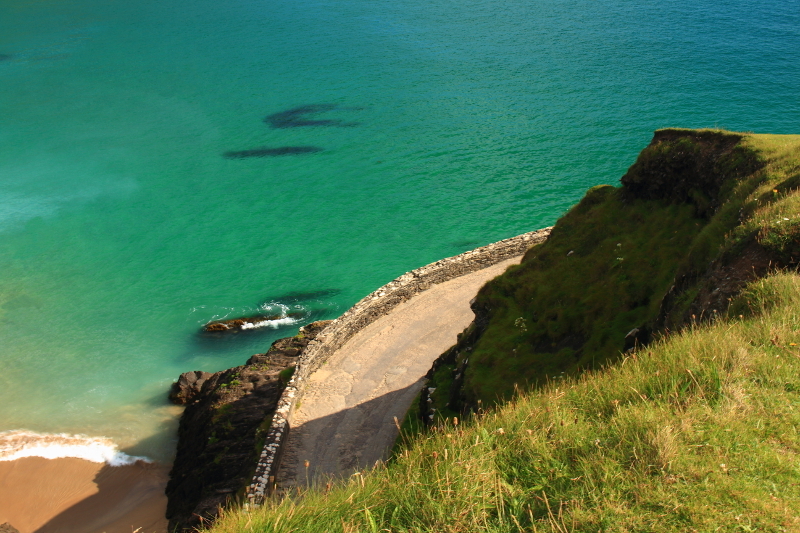 But just before we left, a look at a viewpoint on the twisting road up from the beach, which has been photographed many times, maybe one of the most recognisable in Ireland. 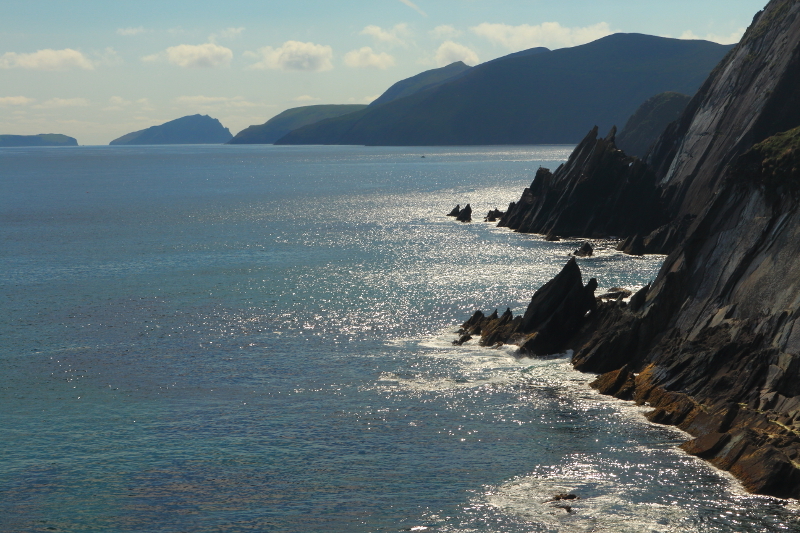 The Dingle peninsula was proving to be one of the most beautiful places I’ve seen, and we still had plenty of it left to visit. 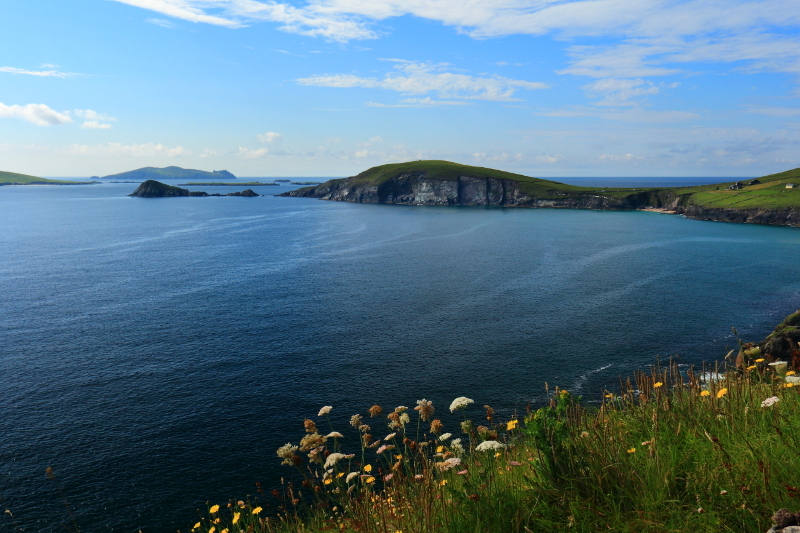 Posted in Landscape, Nature, PhotographyTagged beach, Blasket, Couminole, Dingle Peninsula, Ireland, Islands, Kerry, Slea HeadBookmark the permalink. Brilliant post, Aidy. 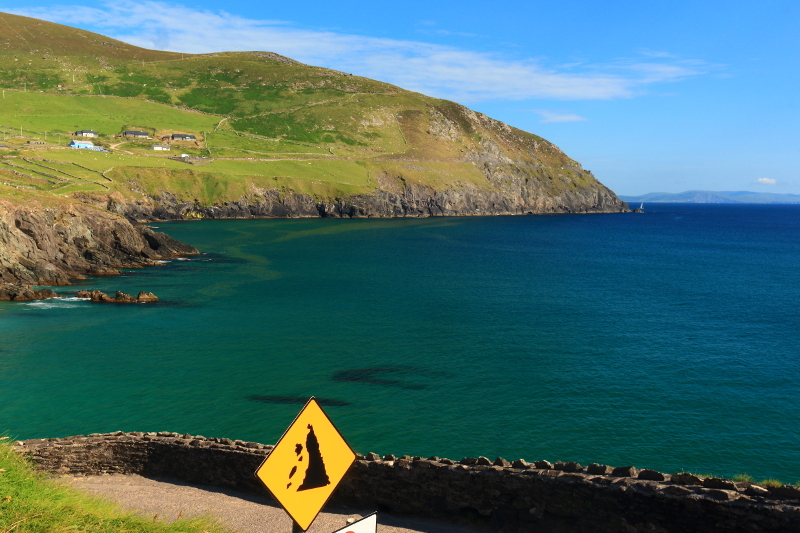 I never get tired of the Slea Head drive. Thanks John. 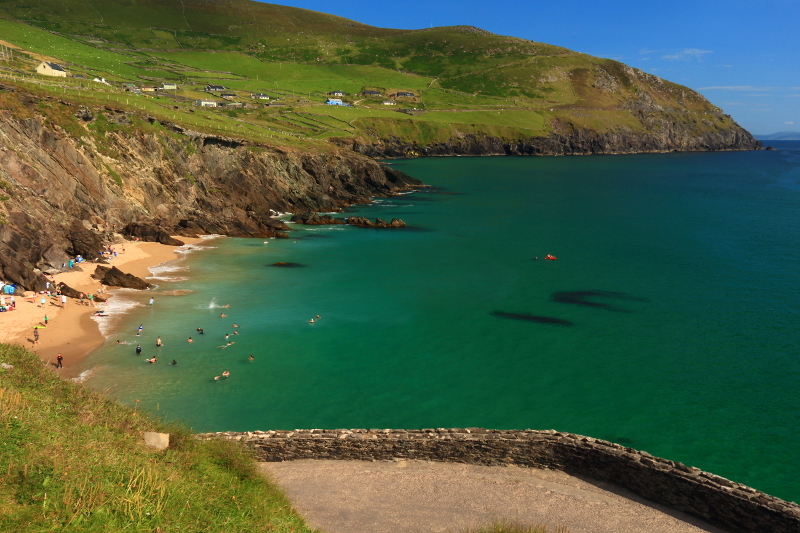 I would loved to have spent a few weeks on the Dingle peninsula alone. A week is not enough for Kerry. Excellent photographs. It looks fabulous. 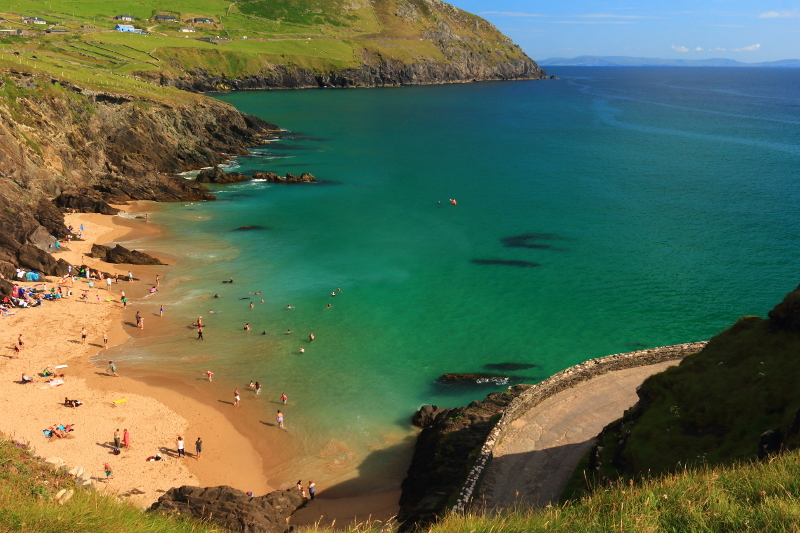 i can’t wait to get there. Thanks Jessica. I’m fairly sure you’ll love it.